Take a closer look at some of the events and stories taking place across the world to celebrate the Universal Declaration of Human Rights. 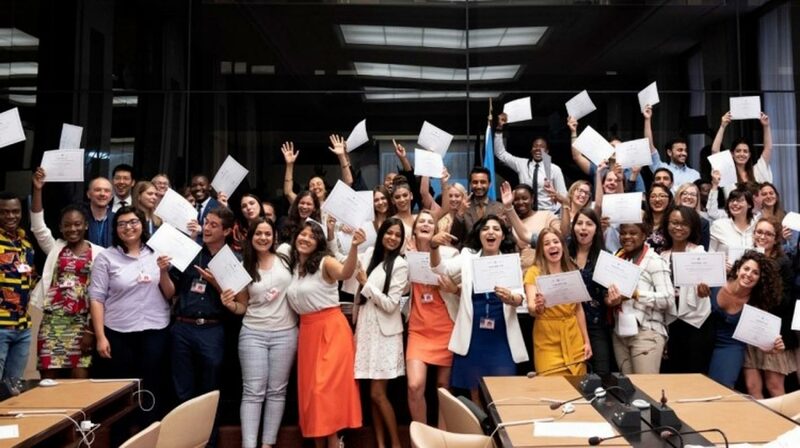 Forty-seven graduate students from 32 countries participated in Geneva in the Graduate Study Programme around the theme “Human rights at a crossroads: where we stand in 2018”. Each year, as part of the educational outreach programmes undertaken by the United Nations, the Graduate Study Programme provided an opportunity for graduate and postgraduate students from all over the world to deepen their understanding of the principles, purposes and activities of the United Nations and its related agencies through first-hand observation and study at the United Nations Office at Geneva. “The work you are embarking on today will empower you to help to build achieve inclusive and sustainable development – a goal in its own right, but also our best form of prevention against violence. It will empower you to stand up for the full rights of our fellow human beings, and to help achieve a world, for yourselves and for other young people, which is safe.” said UN Human Rights Chief, Zeid Ra’ad al Hussein in his opening speech. From 2 to 13 July 2018, the participants attended a series of conferences presented by speakers from more than ten UN agencies, funds and programmes based in Geneva and working closely on the subject of human rights. The students’ feedback was enthusiastic, both on the content and level of the lectures as well as on the networking opportunities they had. Jingbang Luan, a Chinese Public Policy student at the University of Oxford, praised: "I truly learned a lot in the past two weeks from both the speakers, project supervisor and other participants. It is beautiful to mix with people from different backgrounds and learn from the diversity. ". Application for the 2019 edition of the Graduate Study Programme will open in January 2019.